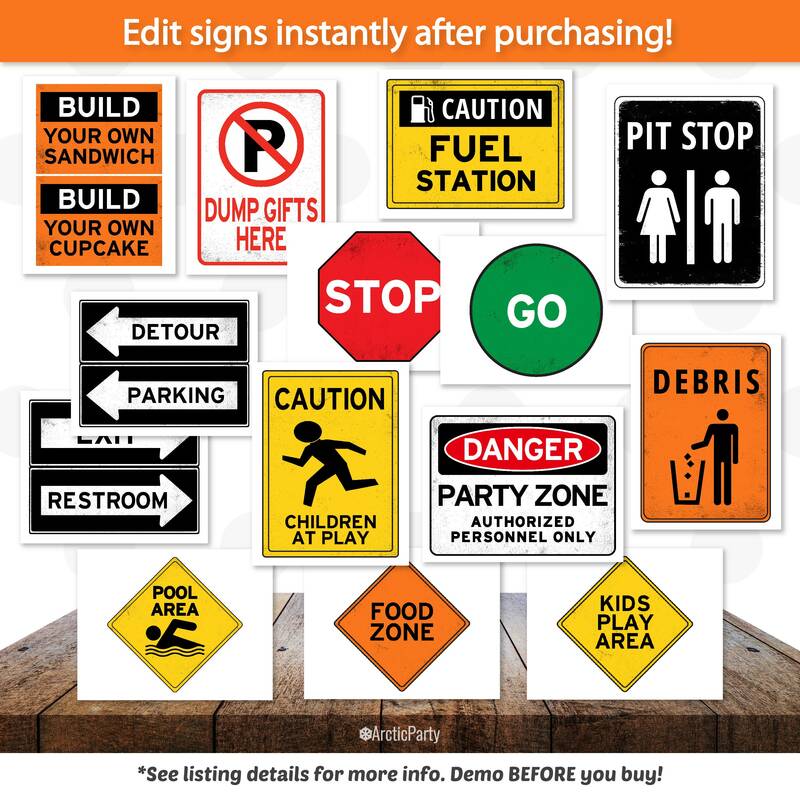 Construction Party Signs! No waiting - edit NOW from home with Corjl.com. Please read through the entire description before purchasing. 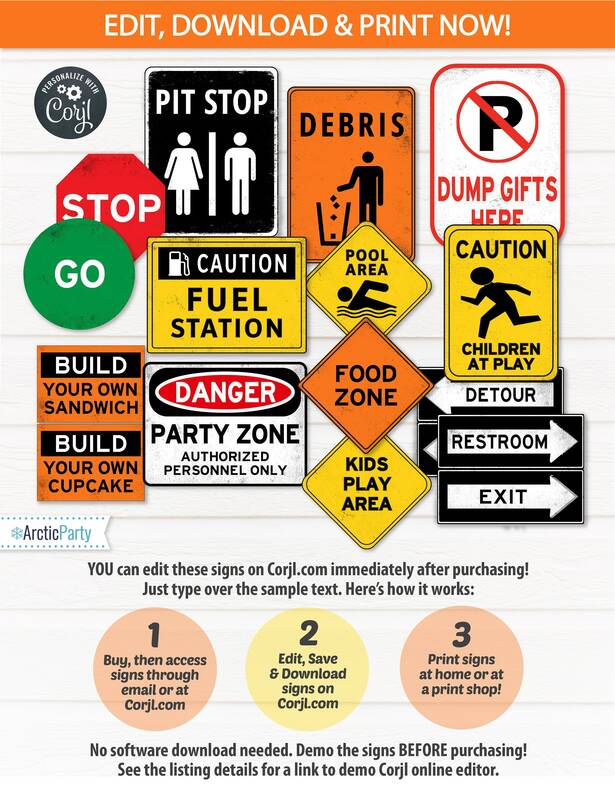 Edit these party signs using Corjl shortly after purchasing. 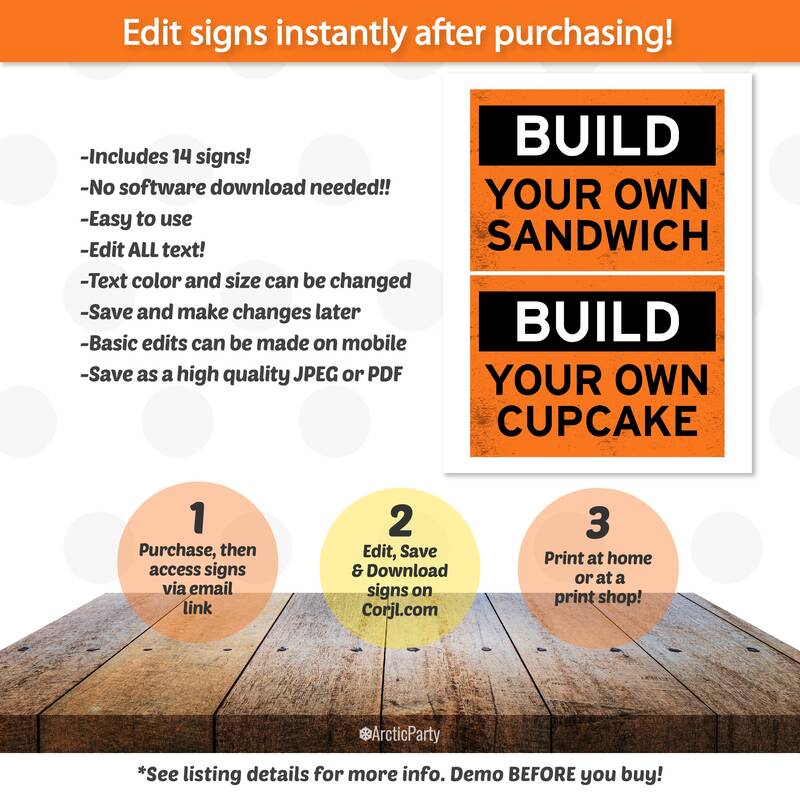 The signs can be printed onto white card stock or matte photo paper from home or at a print shop, like Staples, Office Depot or FedexOffice.